Jean-François Gérault: Hypnosis (part 1), Hypnose (première partie). Mental Sweets de Fabien Arcole et Eric Bertrand. Since I have noticed that my blog has english-speaking followers, I’m going to publish a short series of articles in that language. It will be the translation of an extensive article that I wrote in January 2016 for “La Revue de la prestidigitation” (“The Conjuring Review”). 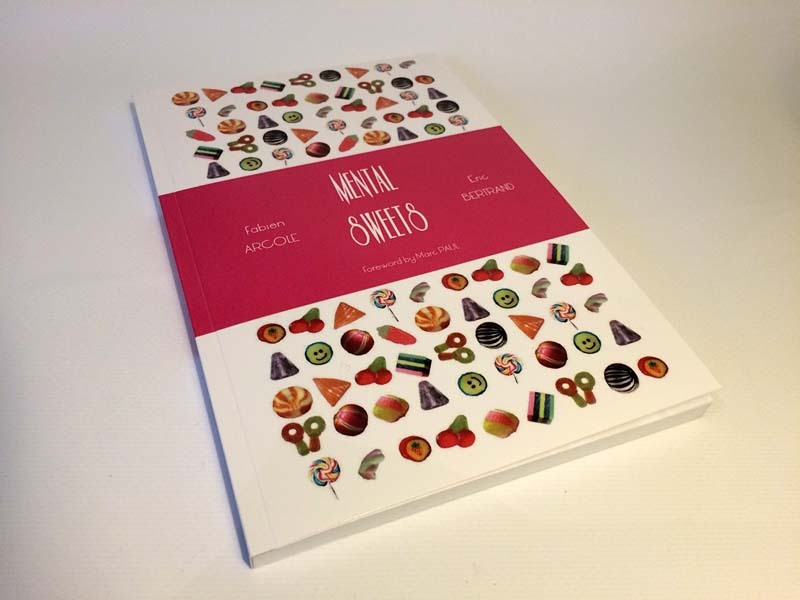 The translation has been done by the mentalist Eric Bertrand, co-author of “Douceurs mentales” (“Mental Sweets”). (Comme j'ai constaté que mon blog était consulté par des lecteurs de langue anglaise, je leur propose une petite série d'articles sur l'hypnose !). It is believed that Egyptian priests already used hypnosis in order to create hallucinations among their flock. But the first major hypnotist happened to be Father Faria (1756-1819), whose name is mentioned by Alexandre Dumas (himself a major supporter of magic and the occult) in Le Comte de Monte-Cristo. Father Faria could cause a profound trance by simply ordering “Sleep” to his subjects. His followers were the British doctor James Braid (1795-1860), who hypnotised his subjects by having them focus on a bright object and the French psychiatrist Jean-Martin Charcot (1825-1893) who specialised in hypnotising hysterical subjects. One of the first practitioners of hypnosis on a theater stage was the Belgian Donato (Afred-Edouard d’Hont: 1845-1900). After him, hypnosis evolved under the influence of an American psychiatrist, Milton H. Erikson (1901-1980), who came up with new concepts and definitive improvements. Stage hypnosis moved on in France and in the world with performers such as Dominique Webb or more recently the Canadian hypnotist Messmer. Nowadays, attention has focused on street hypnosis, a specialised branch of hypnosis that developed in France with Jean-Emmanuel Combe, after the latter witnessed a stage show by British mentalist Derren Brown. In 2013, he wrote La Voix de l’Inconscient, in which he details the various aspects of this art. Street hypnosis is immensely challenging: unlike the stage hypnotist, who will deal only with the most responsive subjects, or the hypnotherapist who treats patients that expect solutions from hypnosis, the street hypnotist must deal with people that feel neutral or even worse reluctant towards hypnosis. The hypnosis process, be it in the street or during a private party, comprises four crucial steps, known as the “Four As”: Agreement, Announcement, Accomplishment and Awakening.